April 27–28 (Sat–Sun), departing at 10:30am (10:00am from the subway). Cost: 1,690 RMB (1,520 RMB for members); Difficulty Level 3. 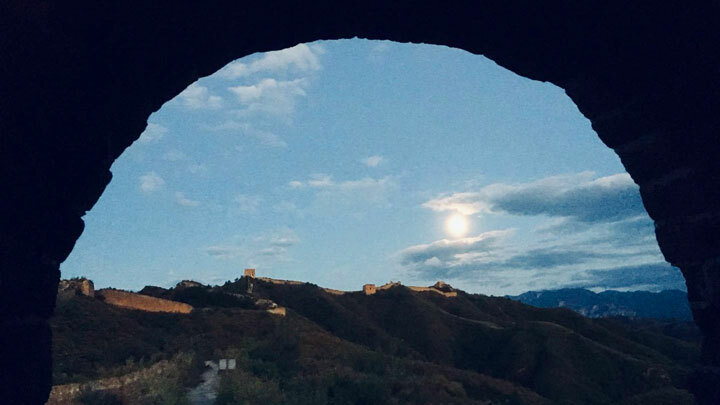 In Brief: Camp overnight in a tower at the Gubeikou Great Wall, and hike on to Jinshanling the next day. You’ll hike easier with just the essentials in your day pack; we’ll arrange delivery of the camping equipment to the campsite. See sunset from the Great Wall at Gubeikou. 3–4 hours hiking each day, total distance 12–14km. 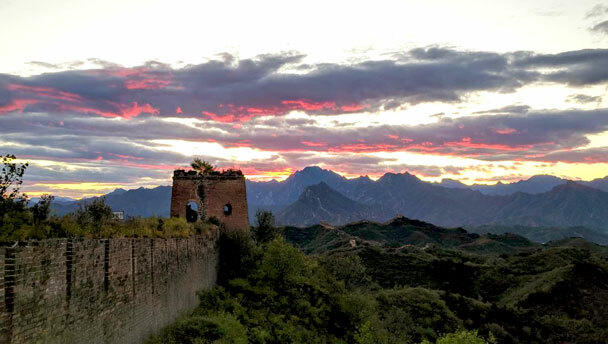 On this two day Great Wall adventure you’ll hike picturesque stretches of the wild Great Wall and camp in a Great Wall tower at Gubeikou. We’ll take care of the heavy lifting and main supplies; all you’ll need is a day pack to carry your essentials while hiking, leaving you free to enjoy the scenery, sunset, stars, and sunrise as we hike along the Gubeikou and Jinshanling sections of the Great Wall. We’ll have a fairly good idea of the weather by about three days before the hike. If it’s forecast to be dangerous, we’d need to call off the hike. If it changes suddenly while we’re out there, we can shelter at our local friend’s courtyard. Our campsite is a partially restored tower at the Gubeikou Great Wall. With the wall at our backs, we’ll have broad views to the south, east, and west, and you’ll be able to see the sunrise by poking your head out of the tower at around about 5:18am. The sun will set around 7:05pm, and from the campsite we’ll be able to watch as the sun slowly sinks below below a tall ridge of mountains. Lunch, day one: We’ll supply a sandwich, as well as a banana and a Snickers bar. You might like to supplement this with extra snacks. Dinner: We’ll supply basic camp food: things like bread and rolls, ham and salami, pickles and cheese, and some cup noodles and soups. We’ll bring gas burners to boil water for hot drinks. We’ll also bring a bottle of red wine! Dinner will be tasty but fairly basic, and we’re not able to have open fires. Lunch, day two: We’ll head to a local restaurant and celebrate with a big meal and plenty of cold beer. Day pack to carry the essentials. Extra food and snacks ie chocolate. You’ll need a day pack to carry the essentials: your clothes, food, water, and anything you can’t do without. You won’t need to carry the camping equipment. 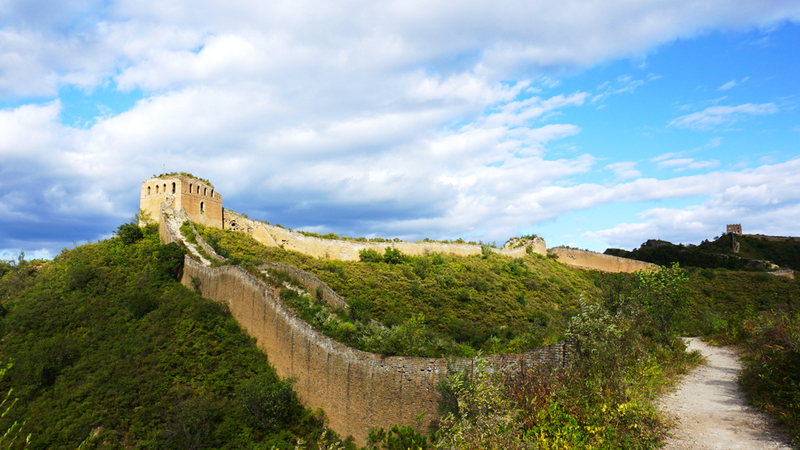 On the first day of the trip we’ll explore the Great Wall at Gubeikou, a relatively easy hike that has magnificent views of the Great Wall running through the hills. We’ll hike up to the highest tower in the area, and then walk back down to our campsite to cook diner and watch the sun set. 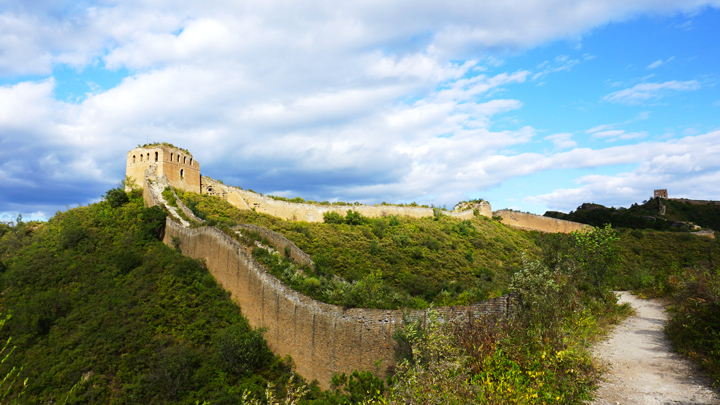 On the second day of the trip we’ll hike on to the Jinshanling Great Wall. We’ll hike back up to the high point of the Gubeikou Great Wall, and then head down into the farmland that surrounds Hemp Village. After a 45-60 minute hike through the fields, we’ll climb a hill trail to get on to the western end of the Jinshanling Great Wall. We’ll walk all of the Jinshanling section of the Great Wall to finish at the eastern end with a walk down a park trail to the carpark where our bus will meet us. There are a few places along the way that are either narrow, steep, slippery, or all three. The weather was amazing for this camping trip—see 24 photos from at trip to the Great Wall at Gubeikou and Jinshanling. See 16 photos from a camping trip at the Gubeikou Great Wall. See a set of 26 photos from a camping trip, with a few experiments with HDR pics and sublime shots of sunset. 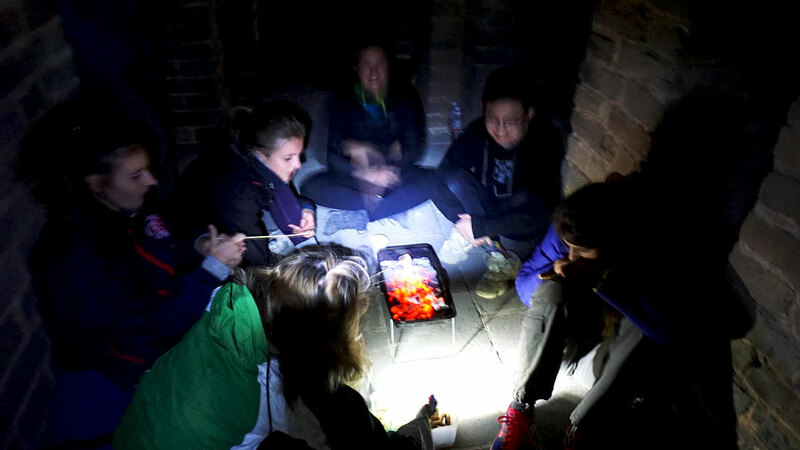 25 photos from the a camping trip at the Gubeikou Great Wall—overcast skies, clouds, and drizzle … but a cosy tower to say in overnight. Nice! A set of 22 photos from a camping trip at Gubeikou—views from the campsite and of the Great Wall at Gubeikou and Jinshanling. See 25 shots from a camping trip on the Great Wall at Gubeikou—overcast and cloudy, but still fun! See twenty photos from our first camping trip of 2017. Photos from a camping trip at the Gubeikou Great Wall – one day clear and lovely, the next foggy and mysterious.